* The Middle East News Agency was established on 15 December 1955 as a joint stock company owned by Egyptian press establishments with a capital which did not exceed at the time LE 20,000. Months later, the government contributed half this sum. 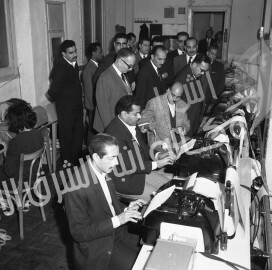 * On 8 February 1956, the Egyptian Cabinet took a decision to establish the agency and on 28 February, it began to distribute its first bulletin by roneo machine. * On 16 April 1956, MENA began to transmit its service on Tickers as the first regional news agency in the Middle East. 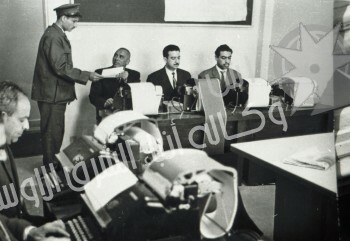 * In 1960, MENA was nationalized along with other press establishments and was affiliated to the Ministry of Information. In 1978, MENA became a national press establishment affiliated to the Shura (consultative) Council, like the other national press institutions. * MENA secured a mega-leap in 1996 when it began transmission via three satellites, covering Africa, Asia, Europe and South and North America. 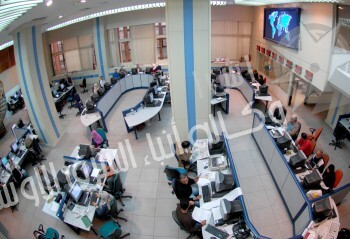 MENA now uses computers in editing and transmitting news through satellites instead of the Tickers. * MENA transmits now over 1,000 news items daily in Arabic, English, and French. * Out of its keenness to completely transform itself from just offering news services to “monetizing the service”, MENA has recently developed its existing news services and started introducing new ones, such as the Video Bulletin Service, MENA Popular Portal, Social Media Unit and Info Graph Department. * Affected by the rapid geopolitical changes created by the 25 January Revolution, MENA has also introduced the SMS service to the three cell phone operators in Egypt. The move comes in tandem with transmitting news items to its subscribers on the new official portal. 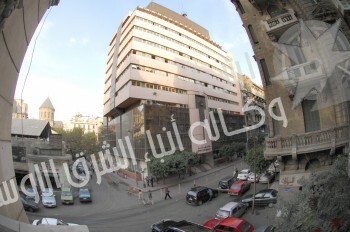 * MENA has broadcast its services since 1996 via the agency's news website " mena.org.eg ", which was updated in 2005 . At the beginning of 2013, the news website, with all its capabilities, become part of a comprehensive electronic portal of MENA through website " portal.mena.org.eg " . * MENA also continued its satellite transmission, which started via Europe's Hot Bird satellite broadcasting system. Later on, MENA moved its transmission via the Egyptian satellite Nilesat since its launch. 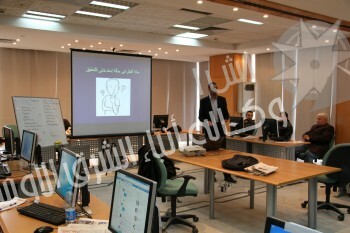 * MENA’s Popular Portal and other news services aim to support the new concept of citizen journalism. MENA will not only be dealing with other mass media but will be coping with everything new in web journalism and digital media. * MENA has one website for its subscribers to broadcast news items and upgraded news services..
* MENA will be the first news agency in the Middle East and the second worldwide to have a popular website dealing with visitors. * In early 2013, MENA broadcast its different news services on the Portal to all its subscribers, inside and outside Egypt, after being exclusively dependent on satellites. * To obtain, transmit and market news from different sources, at home and abroad with objectivity, credibility and professionalism. MENA, as regional news agency, presents a clear picture of events and developments of interest to region, whether they take place in the region or are relevant to it in world capitals. * To prepare press materials (features, news analyses, photos, researches and studies) and market them at home and abroad. To issue specialized bulletins in Arabic, English and French in the different political, economic, social, sports, scientific, cultural and environmental fields. * To offer special news services to international news agencies and foreign correspondents resident in Cairo or in the region. To extend its technical services, through its network via three satellites, to subscribers and news agencies. * To offer its press and technical expertize to national news agencies in the Arab world, Africa and Third World countries through the MENA Training Center. * MENA has contracts for cooperation and news exchange with 30 Arab, regional and foreign news agencies. It is also a founding member of the following agencies : The Islamic News Agency (INA). The Pan-African News Agency (PANA). The Non-Aligned News Agencies Pool. 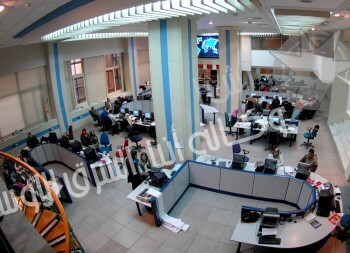 The Federation of Arab News Agencies (FANA). The Association of Mediterranean News Agencies (AMAN). * MENA also has cooperation agreements, protocols and activities with a number of international organizations specialized in journalism, training and development, including Germany’s Friedrich Naumann Foundation , witch playing a vital role in providing MENA with high level training needed to upgrade journalists , the Arab Network for Media Support " Al Sate Al Hurr " , DW Academy, Roman Gallo Foundation and others. This daily task, turning MENA into a beehive nest, achieves its aims through an administrative system, which ensures discipline, flexibility, smoothness, quick communication and positive interaction among all sectors of the agency. runs the daily work of the agency through ten sectors, including the administrative department. Mr Ali Hassan, one of MENA's long-serving journalists who has worked in the various editorial departments, is the current board chairman and editor in chief. Is made up of 12 members in addition to the Chairman. Half of the 12-member Board are appointed by the Shura Council after being nominated by the Board Chairman, while the other six members are elected by direct ballot. The Board of Directors is in charge of charting strategies, plans of action, annual budgets and projects aimed at upgrading MENA performance. The Board convenes at least once per month, with the Board Chairman assuming the Board's functions when there are no sessions. By law, the Board Chairman takes up the task of directing MENA's daily activities. Is comprised of 30 members, half of which are elected by direct ballot, and the other half appointed by the Shura Council, including a number of public figures. It is in charge of following up the performance of the Board of Directors, ratifying plans of action and endorsing annual budgets. The agency's editorial process is being overseen by an editorial board made up of deputy chief editors and editorial advisers from the various departments of the agency. It convenes under the chief editor, and in his absence, the oldest deputy chief editor takes his place. The board holds a daily meeting, during which board members discuss the agenda of the day, correspondents' and reporters' inputs as well as future plans and any problems facing work flow. Madbouli praises high turnout in referendum on constitutional amendmen ..